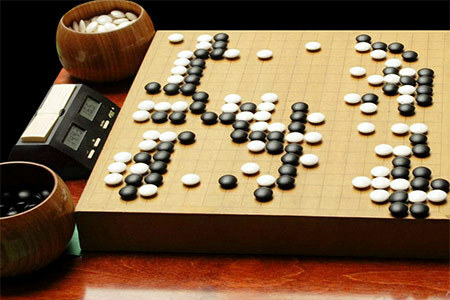 Responding to popular demand, Slate and Shell has just published a second volume of “Deep Thought: Extremely Thoroughly Commented Pro Games,” by popular author Yuan Zhou. It contains three games with virtually every move explained and almost every diagram showing only one new move. “Unlike normal problem books, the ‘problems’ here are not limited to local situations,” says Slate and Shell publisher Bill Cobb. “You must always keep in mind the whole board. Read this way, the books provide an excellent study of opening, middle game, life and death, and endgame problems, considered in terms of what is going on elsewhere in the game.” Sample pages can be seen on the web site. Available now at a special introductory price.